Pretty much anything with browned butter is alright by me, but if you up the ante with cheese, I’m your slave! The Old Spaghetti Factory makes a decent version of this dish, but trust me when I say that this recipe is better. It’s SO simple. I know I say it a lot but, you can’t get to and from Mc Donald’s in the time it would take you to make this. The sauce was done in the time it took the pasta to cook! Maybe you don’t know Mizithra cheese and you think I’m throwing some crazy, expensive, fancy cheese at you… I’m not. Mizithra, or in this case technically Xynomizithra cheese is a Greek cheese made primarily on Crete from goat or sheep’s milk. Mizithra is technically the fresh, much softer version of this cheese, while the Xyno variety has been aged and is quite hard, much like parmesan. 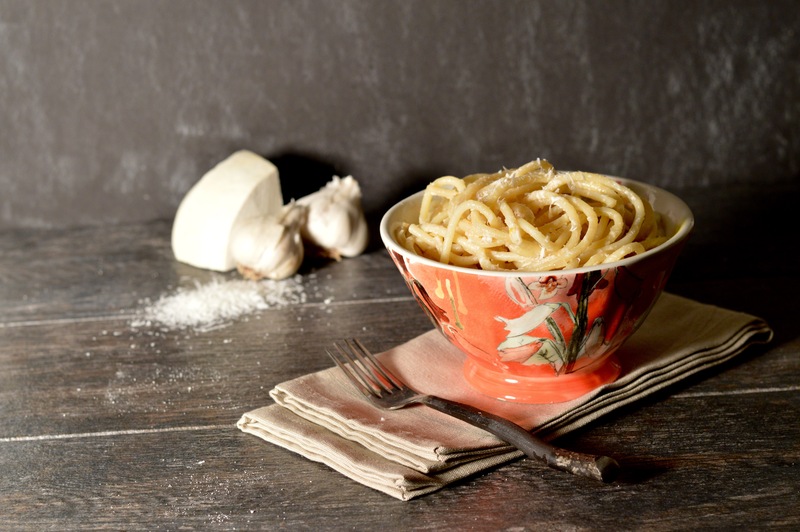 In fact, if you are unable to get Mizithra, you can make this with parmesan. It will have a completely different flavor profile but, will be delicious, none the less. 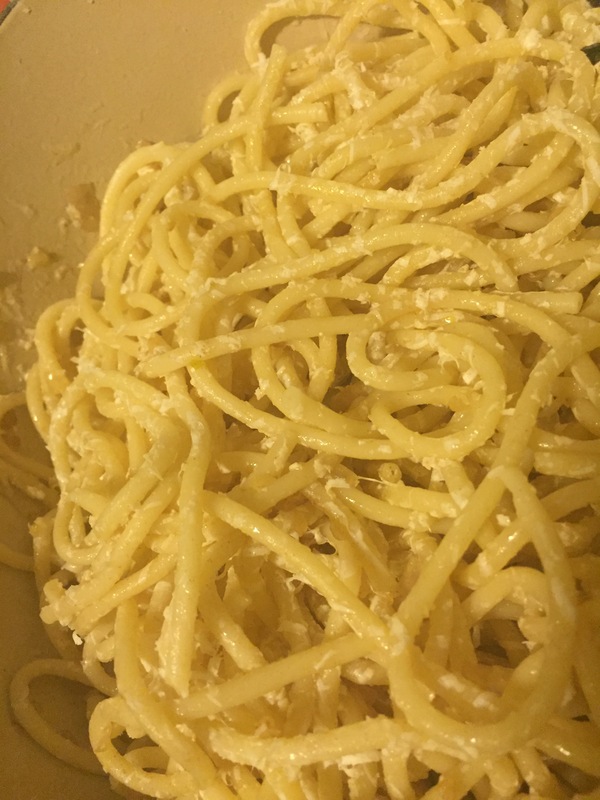 1 lb spaghetti style pasta. Any long variety will work. I used Buccatini, but spaghetti, linguini, or fettuccine would do just fine. 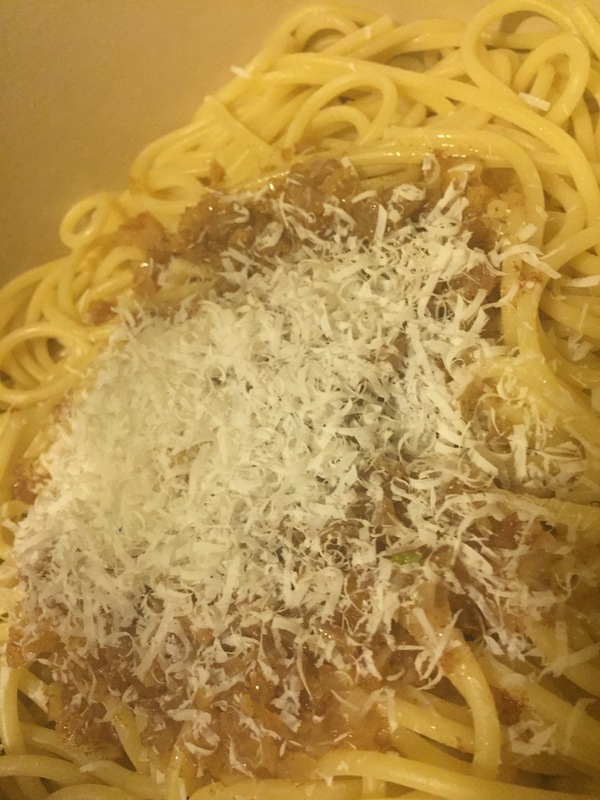 1 1/2 cups finely grated Mizithra cheese. Don’t pack it in, allow it to stay light and airy. Use a plane grater or the finest grater you’ve got. Cook pasta according to directions. Be sure to salt your water. This and the salt from the cheese are the only salt added. Brown your butter. 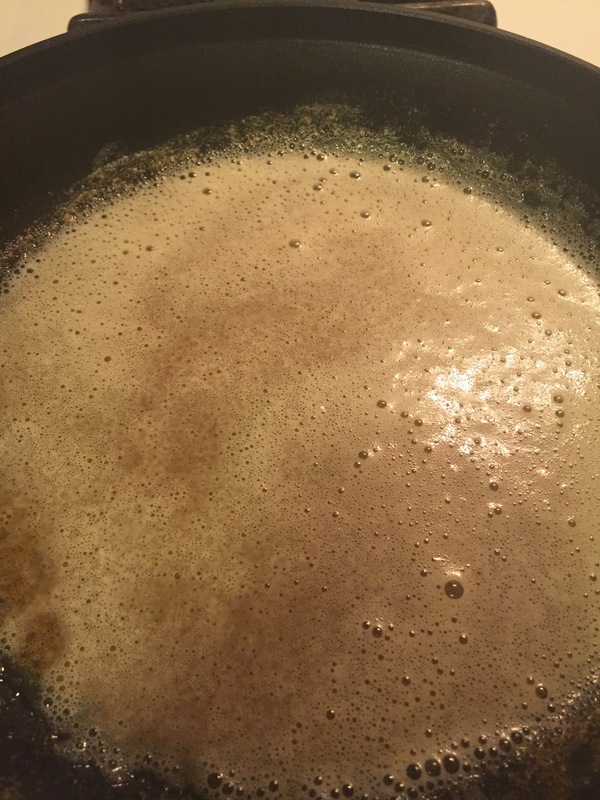 I have included a step by step below to show how to properly brown butter and how to tell when it’s done. 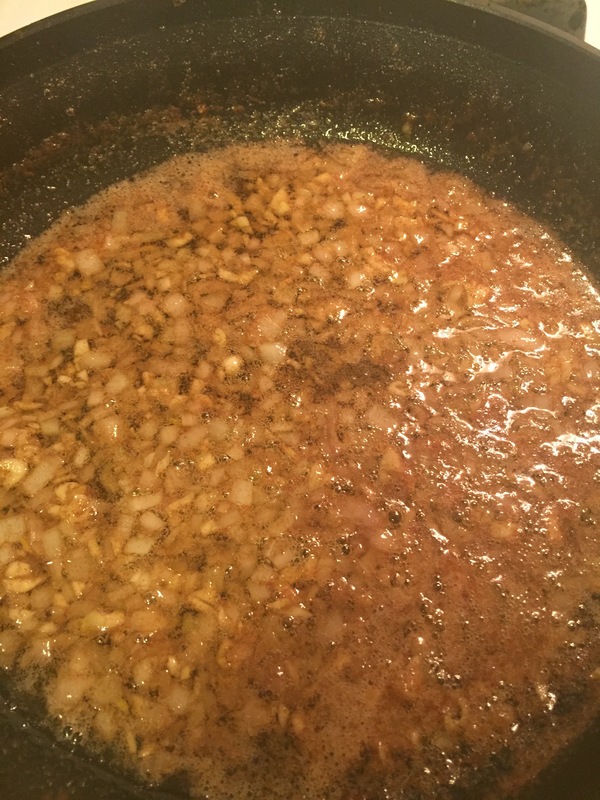 Once nearly done browning, add minced shallots and garlic to the pan and sauté until butter is browned and shallots are transparent. Drain pasta and toss with butter sauce and cheese. Serve immediately with a salad or your favorite roasted vegetable! Give this a try! My kiddos LOVED it! Three plates later I was convinced. 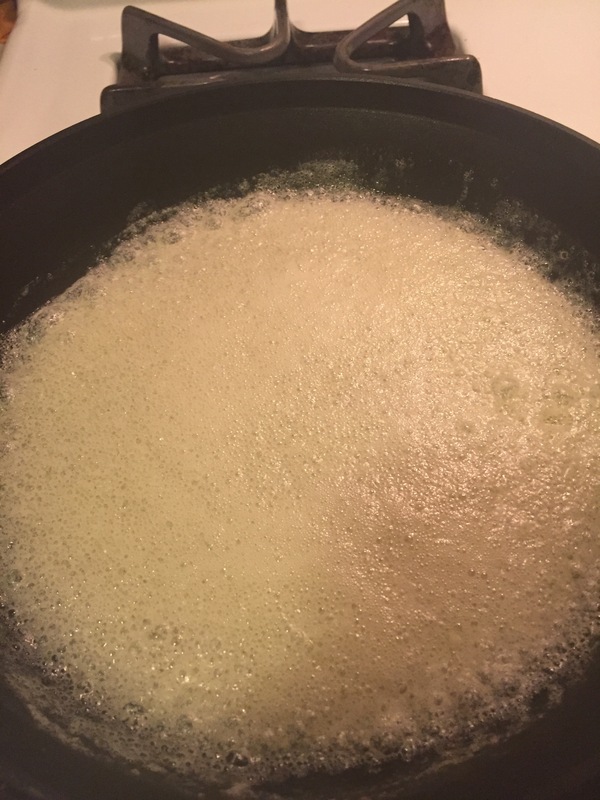 Begin melting the butter over medium heat. 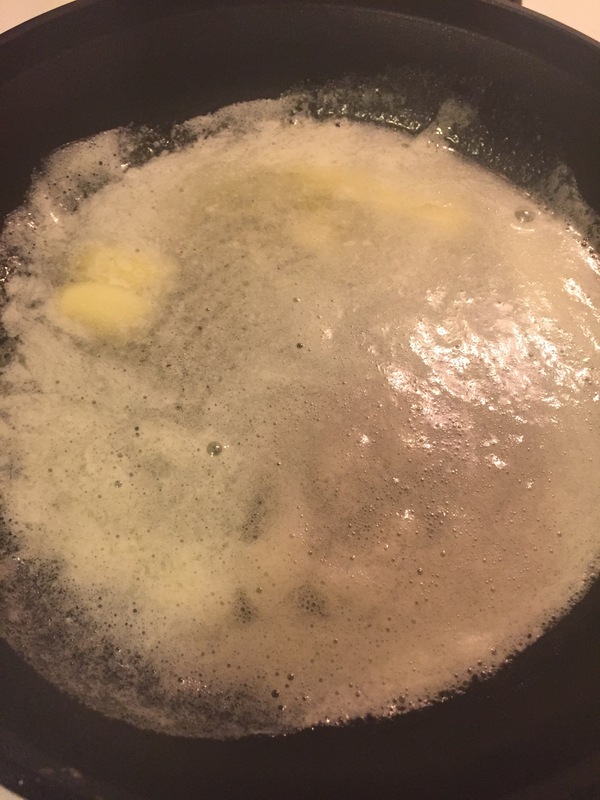 Take your time, butter will burn and while burned butter is still butter, it’s not as delicious as browned butter. It will become frothy just like this. You’re doing it right! The bubbles are your key indicator. 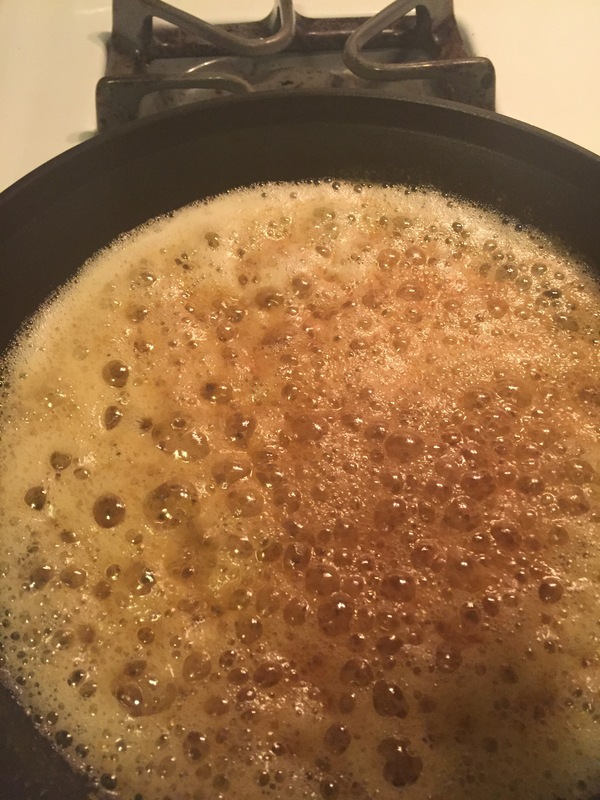 Once they go from tiny foamy bubbles to slightly foamy with larger bubbles, turn your heat down a touch and add the shallots and garlic. Here, the bubbles have gotten quite large and you can really see the color coming through. The foam is nearly gone and you have this beautiful caramel brown color. THIS is the stuff! This is your end result. 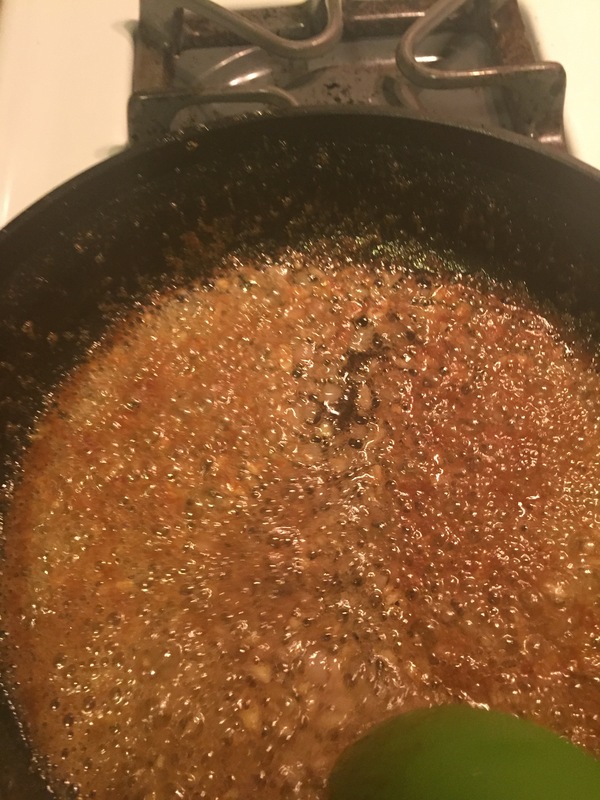 Be sure to scrape the browned butter solids into the sauce from the edges of the pan. The flavor is exactly there! Pour over the pasta and add the cheese. Toss until evenly coated. This is the way it should look! Gorgeous, right?